Choosing a Zen teacher is one of the most personal things you can ever do. This is someone who you are going to trust with your spirituality. You cannot just look in the “Yellow Pages” like you were looking for a plumber. How long have they studied? It takes decades of zen practice to mature to the point where they are qualified to teach. (Our own, Lou Mitsunen Kyogen Nordstrom Roshi practiced for over 30 years before he was authorized.) There is no “University of Zen” where you spend 4 years and receive a diploma making you a teacher. The process takes years of study, practice, and trials and most individuals will never become teachers. Have they received Dharma Transmission or authority to teach, from whom? Dharma Transmission is a formal ceremony in which one’s teacher confirms that an individual is ready and able to teach the Dharma to others. In some traditions a master may authorize someone to teach on a VERY limited basis such as meditation instruction. How do you contact their teacher or organization to confirm this? 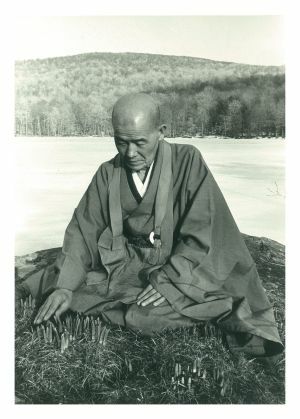 All reputable Zen teachers are affiliated with some line or lineage (for instance we belong to the White Plum lineage). They will be glad to give you contact information to confirm their credentials. It is recommended that you at least check that your potential Sensei’s is listed on his teacher’s website as authorized to teach. If you don’t find them, don’t get to worried, not everyone is on the web. You can always send an e-mail to the Zen Center that your Sensei comes from and ask if he/she is authorized to teach. Our Teacher is Louis Mitsunen Kyogen Nordstrom Roshi. He is authorized to teach in the lineage of the White Plum Sangha. The White Plum Sangha is composed of the Zen teachers in the lineage of Hakuyu Taizen Maezumi. A teacher and temple needs money. The money for a teacher is usually referred to as Dana (Selfless Giving). It is typically given anonymously to the teacher. It is not based on a list of fees for services. This Zendo itself has a membership fee at an established rate. That is to cover expenses and help support our sponsoring UU Fellowship. If you can’t afford to pay the member rate, please continue to come. Donate what you can, when you can, by just dropping it into the donation basket. There may be times that there is a special teaching or event that there will be fees associated with it to cover costs. Unfortunately Zen will not be able to guarantee any of these things. If someone says they can, our advice is to leave. As with all groups there tends to be a hierarchy. Zen has one too. But it all boils down to nothing. A man in priest’s robes is just a man. A woman wearing a Raksu is just a woman. We are all just “Beginners,” everyday! Don’t think of someone as being more “Advanced” than you just because they may have been at this a while. There are no shortcuts in Zen! Despite what the popular press might be trying to tell you. Anyone who guarantees enlightenment in a fixed or very short time period (or for that matter, at all) should be suspect. Choose the person you want for a teacher carefully. Just because you don’t meet a teacher on the street everyday doesn’t mean they don’t exist. Check with other temple members. There are several teachers who come to Florida on a regular basis. Some students have had good experiences with one teacher and not another. Remember, the right teacher can be a wonderful thing.